Jürgen Klopp is unsure whether Jordan Henderson and Georginio Wijnaldum will be fit for Saturday’s meeting with AFC Bournemouth. 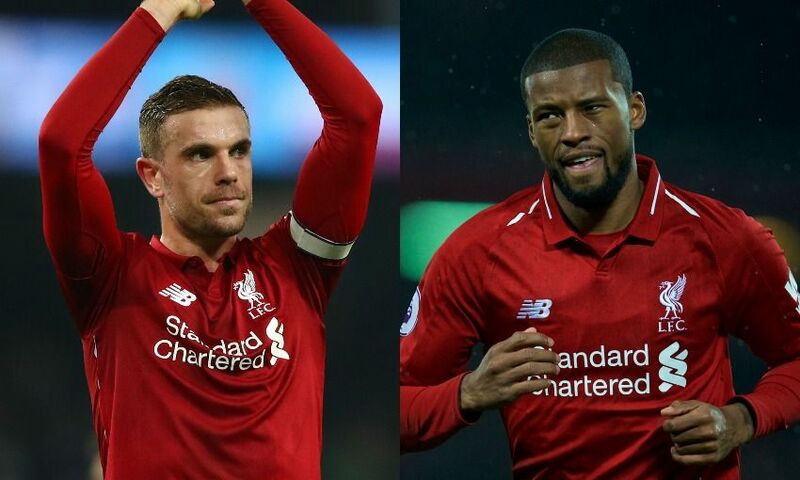 The duo missed Monday’s 1-1 draw at West Ham United, with Henderson ruled out due to a slight muscle issue and Wijnaldum absent because of a sore knee. Speaking post-match at the London Stadium, Klopp confirmed that the midfielders were in line to feature against the Hammers and said their availability for the weekend’s game at Anfield remains uncertain. “Gini and Hendo, both would’ve played and then they cannot play. That’s not too cool, I don’t know how long it will take,” the boss told Liverpoolfc.com. “That’s the situation, that was always clear. It’s a long season and you have to deal with the situation. “When players are in, all the players are there, then you maybe have a bit of a headache making the line-up, who wants to start, who you leave out. If you don’t have them that makes line-ups easier, but it leaves you short of options. “We had a pretty young bench tonight and two strikers, a left-back - that doesn’t help in a game like this now. So it’s like it is. We have to deal with situations like that. Joe Gomez underwent surgery to aid his recovery from a lower leg fracture earlier on Monday, with the defender subsequently describing the procedure as a success on Instagram. Klopp continued: “Yes [it’s a blow for him] but now he had the surgery already and now he is on the way back, that’s how it is.